Frankincense is my favorite essential oil. It’s rightly called “the king of oils,” and was a gift to baby Jesus along with gold and myrrh. Hey, if it’s good enough for Him, it’s good enough for me. That alone speaks so much about the value of this oil. You can use doTERRA Frankincense essential oil can be used topically, aromatically, and internally. Remember, when using essential oils on infants dilute 1 drop of essential oil to 1 tablespoon of fractionated coconut oil (FCO). Frankincense also has the ability to magnify the effect of other essential oils, so throughout this post you’ll notice I’ll give suggested pairings along the way. Overall Health: For overall health, I like to take 1 drop of frankincense under my tongue every day. This oil is packed with antioxidants and will support brain and cellular health. Immune Support: I have what I call a “FLOOM BOMB.” In a roller bottle, I put 3-5 drops each of Frankincense, Lemon, OnGuard, Oregano, and Melaleuca and top it off with FCO. This combination is like magic. I roll it on my spine and the bottom of my feet when I’m feeling under the weather, and I’m back on my feet the next day. It’s also soothing for your scratchy throat. Just roll on over your throat and massage over your lymph nodes. Anti-Aging: Frankincense is packed with anti-aging properties and is a powerhouse when paired with Myrrh. You can make your own blend in a roller bottle, or check out doTERRA’s Immortelle Anti-Aging blend. It’s got Frankincense, Myrrh, Lavender, Rose, and Sandalwood. Fine lines and wrinkles don’t stand a chance. Emotional/Mood Support: If you deal with mood swings, sadness, or anxious feelings then you should definitely be diffusing frankincense in your home. When I need my mood to be uplifted I diffuser Lemon and Frankincense. If you need to reduce anxious feelings and calm your emotions, try diffusing Lavender and Frankincense. It’s a great blend for sleep as well! Soothing Tension & Soreness: You can use Frankincense for head tension and for muscle soreness. For head tension, apply Frankincense, Lavender, and Peppermint where you’re feeling discomfort. For sore muscles, combine Frankincense and Deep Blue and massage into your muscles. These are just a few ways you can start using doTERRA Frankincense in your home. Remember, this month you can get Frankincense for FREE with a qualifying order. Want more details? Check out my business website mydoterra.com/amandagerber For even more deals, an exclusive welcome gift, and extra perks and support from yours truly, click “Join & Save” to become a Wholesale Customer. Now, did you learn something new? What’s your favorite way to use frankincense? 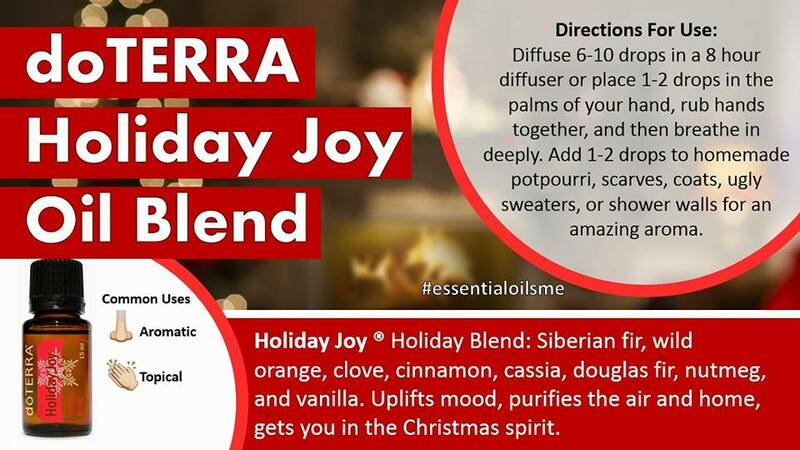 Today’s BOGO from doTERRA is sure to get you in the holiday spirits. It’s a combination that will boost your immune system and your emotions. 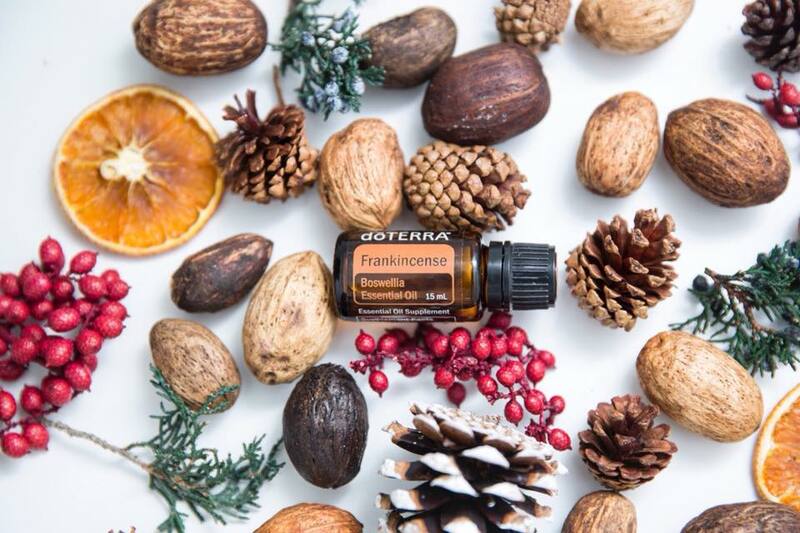 Today only if you purchase doTERRA Holiday Joy blend (AKA: Christmas in a bottle), you will receive Arborvitae for free. Holiday Joy (Holiday Blend): This blend consists of Siberian Fir, Wild Orange, Clove Bud, Cinnamon, Cassia, Douglas Fir, Nutmeg, and Vanilla Absolute. Y’all… I mean, come on. If that doesn’t scream “CHRISTMAS!” I don’t know what does. I love this blend because I can get my home (and fake Christmas tree!) smelling like the holidays without any synthetic ingredients from candles or plug ins. I know when I’m diffusing this oil that I am helping my family’s immune system, and uplifting the mood in our home. I grab a bottle or two every time doTERRA brings it back for a limited time in November. 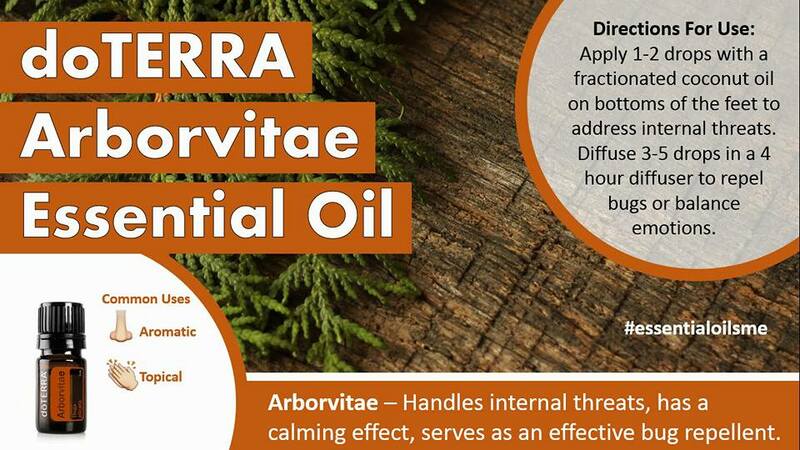 Arborvitae: This essential oil is known as the “tree of life,” and is exclusive to doTERRA. All parts of the Arborvitae tree are used by Native Americans for health benefits and for building since it has amazing preserving properties. doTERRA sources in an environmentally responsible way through the distillation of residual wood materials (basically the tiny bits of wood chips not being used). Isn’t that awesome?! There’s a really cool video on doTERRA’s YouTube page that shows the process. This oil is great for immune support, cleansing and purifying your home, and it’s a natural insect repellent. I’ve also used this during yoga to keep myself centered and grounded. Ok guys, you can head on over to my website to order mydoterra.com/amandagerber Remember, click “Join & Save” to get the best price and a gift from me! I also have a Facebook group going on right now, and we’re chatting about these oils and doing some fun giveaways. Let me know if you’d like to join in on the fun! Well, doTERRA did it again! They are offering a BOGO Monday-Friday this week, and I am here to tell you about it. Here are a few things to note first: Be sure to get yourself a wholesale account. This is truly the best way to order your doTERRA oils. It gives you 25% below the retail price. It can be through me or another Wellness Advocate you’re currently working with, but today is the day to start. Please know, I would love to support you on your health journey, and I’m here to support you as much as you need. Plus I have a welcome gift for anyone who decides to join my team this month. Now, let’s get to it! Want to know what you can get for free today only? Check it out! 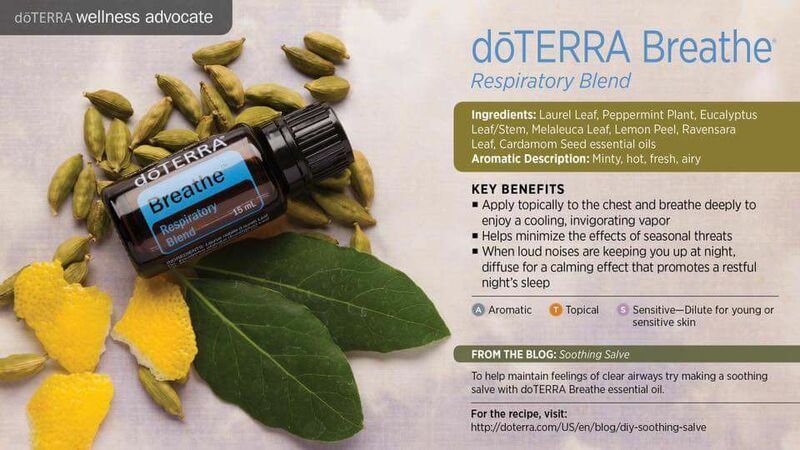 So, if you purchase a doTERRA OnGuard essential oil blend, you can get doTERRA Breathe blend for free. Are you kidding me?!? These are 2 blends that we use in our house every single day. Check out why every mom needs these two blends. OnGuard (Protective Blend): This is a blend of Wild Orange, Clove, Eucalyptus, Cinnamon, and Rosemary essential oil. It’s like Christmas in a bottle. You can use this essential oil topically, internally, or aromatically. It’s great to use daily as an immune support. It’s great to use for scratchy throats, just apply topically on your throat and massage into your lymph nodes. You can also add a drop to your hot tea for a soothing throat tea. You can diffuse in your home to purify the air, and even clean your home with it too! Breathe (Protective Blend): This is a blend of Laurel Leaf, Peppermint, Eucalyptus, Melaleuca, Lemon, Ravensara, and Cardamom essential oil. This blend can open your airways like you wouldn’t believe. Stuffy noses in our house don’t stand a chance to this oil. It’s great to apply topically on your chest to experience a cooling vapor, and you can diffuse it at night to make sure you and your family breathe clearly and easily. So, head on over to my website mydoterra.com/amandagerber and click “Join and Save” to get this deal at the best price. Let me know if you decide on a wholesale membership, because I have an additional gift for you! Do you love the health benefits of essential oils? If you’ve never experienced the positive effects of essential oils before, now is the time to try them. 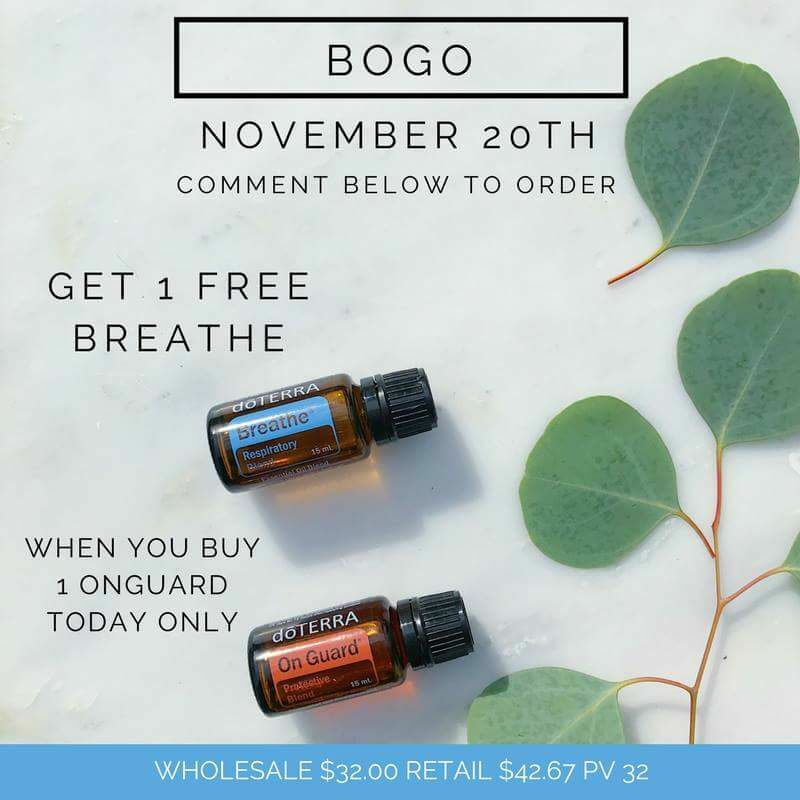 doTERRA is having a BOGO sale all week long. Every day they are featuring a new BOGO deal, and the BOGO will change daily. So, the deal you see featured today, will only be valid through today only, so act quickly. If you are not currently working with a doTERRA Wellness Advocate, I would love to help support you and get oils in your home. Now, let’s see what doTERRA is offering today! 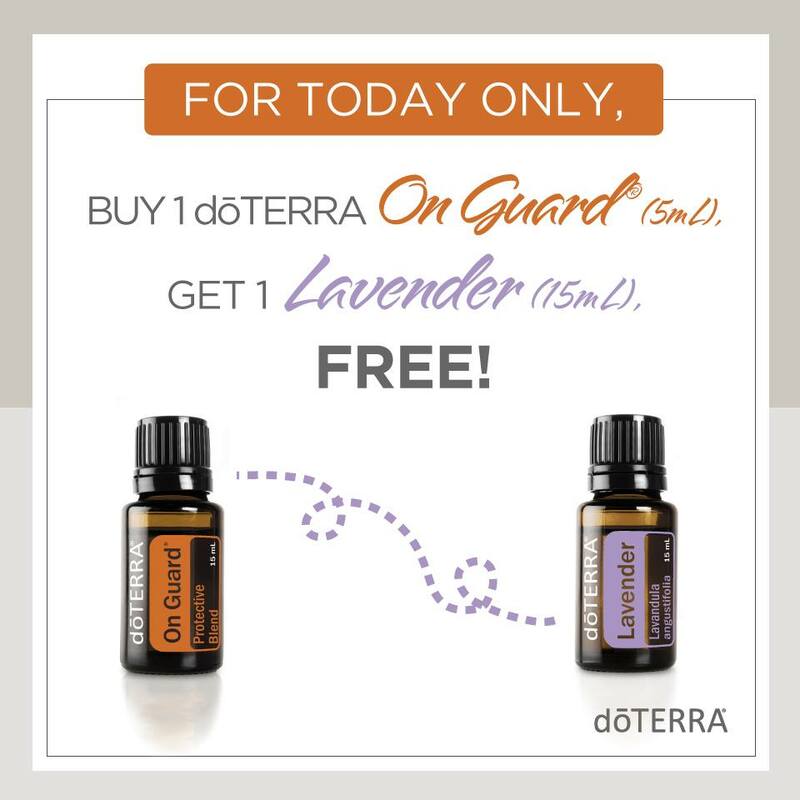 Today’s BOGO is buy a 15mL of OnGuard ($42.67 Retail/$32 Wholesale) and receive a 15mL of Lavender ($28 Retail/$21 Wholesale) for free. I love these two oils, and they are wonderful oils to have in your home, especially if you’re just getting started with essential oils. So, if you have a wholesale account, you’d be getting both of these oils for only $32! 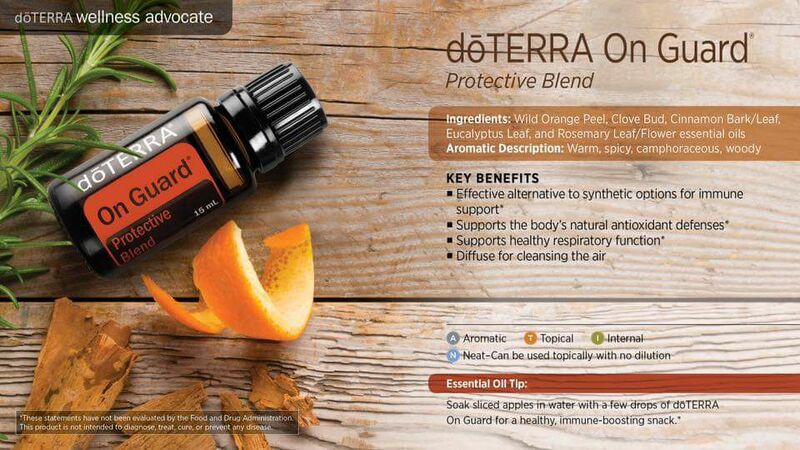 doTERRA OnGuard is a proprietary blend that contains Wild Orange, Clove, Cinnamon, Eucalyptus, and Rosemary essential oil. OnGuard is designed to support your immune system. This was actually the first oil I got introduced to, and I’ve been hooked every since. You can use this oil topically, aromatically, and internally. (Side note: doTERRA is the only brand of essential oil I would trust enough to use on my kids, and I advice everyone to do your research when purchasing essential oils.) I personally used this blend when I had a sore and scratchy throat. I rubbed the oil along my throat, massaging my lymph nodes, and I also used 1 drop of OnGuard in hot water with honey and drank it like a tea. I was amazed at the results I had, that I ended up buying an entire enrollment kit that month. I enjoy using OnGuard daily on my entire family to help support our immune system, especially during the winter months. For my children (5 years old and under) I dilute this oil with doTERRA’s Fractionated Coconut Oil because it is a hot oil, and can be too warm when applied directly on children. We also have it in a spray bottle with water, and we use it as a natural hand cleanser every day. We use it to clean our homes too! I love that I’ve been able to eliminate traditional (and toxic) household cleaners and hand cleansers. Now, Lavender essential oil is an amazing oil to have in your home. Lavender can be used aromatically, topically, and internally. Many of us are familiar with the traditional use of lavender for sleep and relaxation. While this is true, it also has so many other uses as well. You can use this oil to help reduce skin irritations, and it’s amazing when paired with melaleuca for these purposes. We have an “Owie Spray” in our home that we’ve used for bee stings, ant bites, stinging nettles, and rashes. Lavender can also be used to soothe sore muscles. I like to pair it with peppermint before and after a workout, and it really helps with the post workout soreness. 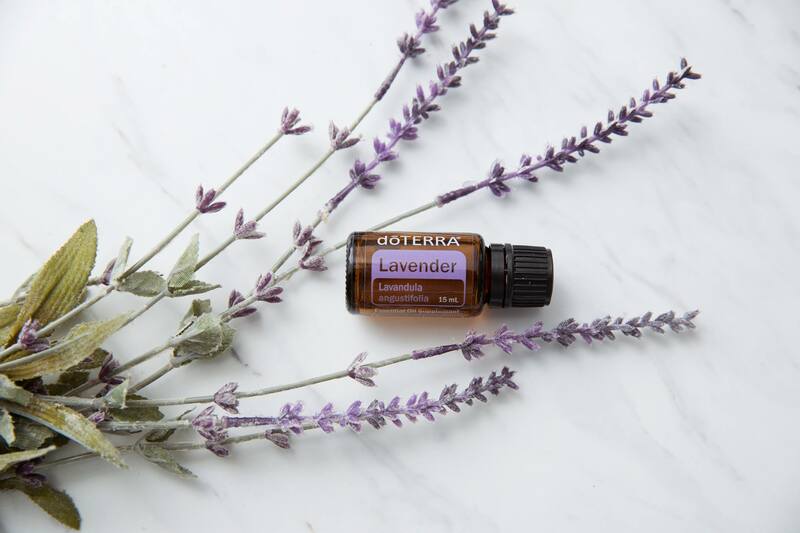 We love using this oil in our homes, and my kids have been known to ask for “the purple oil” whenever they get a boo-boo. Are you interested in purchasing today’s BOGO? I would love to help you get started using these oils. I provide my team with additional education once you’ve received the oils, and I make myself available to when you need additional support. I’d be honored to help you on your journey towards natural solutions for your health. Happy Monday! Have you used essential oils in your home? What are some of your favorite ways to use oils?